1. 100% brand new cases in retail package box, creative design. 3. 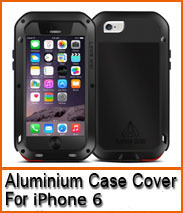 EXTREME Heavy Duty Metal Case with Water + Dust Resistant Membranes, easy to put on and take off. 4. Perfectly fits the shape, close-fitting and good signal. 5. Coating the surface, durable and washable. 6. Protect your phone from dust, scratching and shock. 7. Tempered glass protecting the fragile screen with anti-fouling and anti-glare function. 8. Protect your valuable investment from scratched and damage. 9. Compatible with: For Samsung Galaxy S6.